Welcome to Motel 6 Lodi Woodbridge Ca. 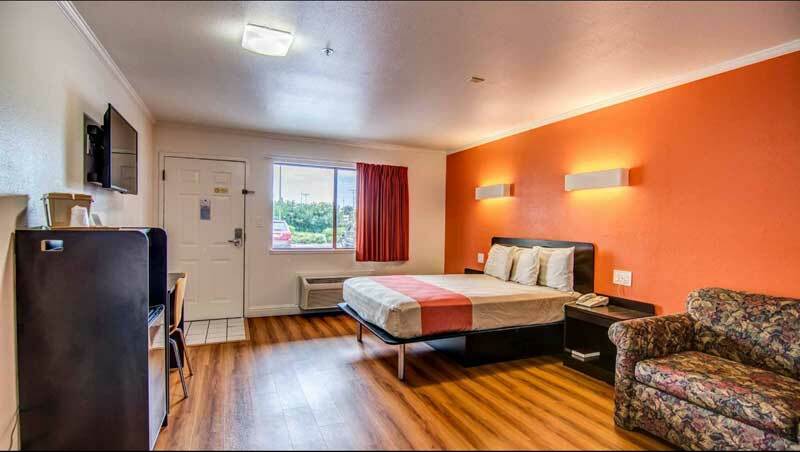 Motel 6 Lodi CA is located off SR 99 exit E Kettleman Ln, in the heart of the Lodi-Woodbridge Wine Country. All modern rooms have micro-fridge units. 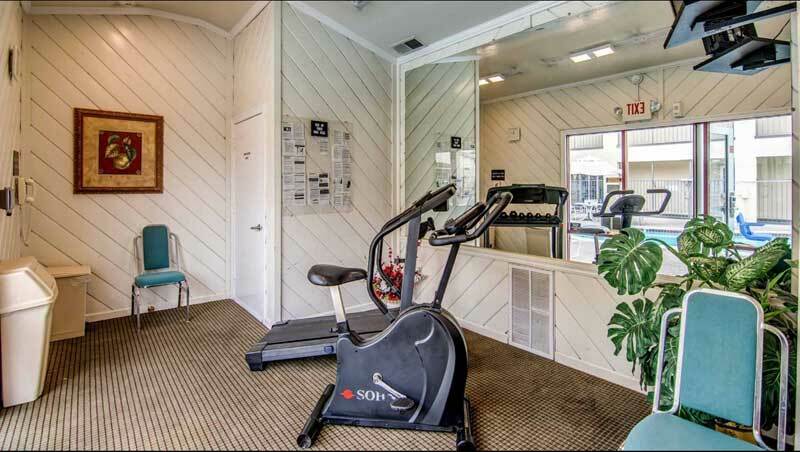 Enjoy an outdoor pool, hot tub, business center, fitness center, and free Wi-Fi throughout the building. Enjoy newly renovated rooms with expanded cable tv, micro fridge, hair dryer, and more. 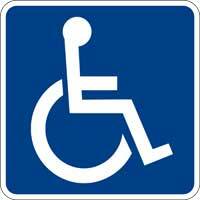 Truck and Bus Parking is also available for our guests. Pass the afternoon sipping wine with a local winemaker. Shop for that perfect antique or gift in our historic downtown. Stroll barefoot along the beach at Lodi lake. Tour a museum. Catch a concert or play at our performing arts theatre. Dine in casual or upscale surroundings. Whether you are in Lodi for business or pleasure, for relaxation or rejuvenation, Lodi will surprise and delight. Find out why wine experts and visitors alike are referring to Lodi as Northern California's hottest new wine country destination! Lodi is located just 35 miles south of Sacramento and 90 miles east of San Francisco. Activities : Stroll barefoot along the beach at Lodi Lake, picnic in a vineyard, pass an afternoon sipping wine with a local winemaker or shop for that perfect antique or gift in our historic downtown. Lodi has it all! Outdoor Recreation: Each year, millions of birds leave their nesting grounds in Canada, Alaska and other northern places and fly into California's Central Valley for winter habitat. Many of these birds are looking for a wetland in which to settle, and choose the thousands of acres of nature preserves surrounding Lodi, giving individuals a unique opportunity to view some amazing and rare birds. Casinos : We have got the games you want to play! From Limit to No Limit Texas Hold Em, Vegas Style Blackjack, Fortune Pai Gow, and Three Card Poker. You will find all the action here, between the hours of 8 am thru 4 am daily, 7 days a week. Wine Country's all-new casino floor brings you 7 poker tables and offers you ways to win beyond your wildest dreams. There is no shortage of action on our casino floor! Dining : Visiting Lodi will satisfy more than just your appetite for great wine. Whether you have a taste for classic Americana cuisine or International fare, '50s-style home cooking, or avant-garde culinary creations, Lodi has something for you. The restaurant selection in Lodi carries on the unique identity of the city itself, presenting many locally owned and operated restaurants, coffee shops, bars and breweries, as well as regional eateries already familiar to our tastebuds. It is not unusual to see the chefs of Lodi restaurants shopping for fresh, locally grown produce at the weekly Farmer's Market for their evening menu, or to spot them sampling local vintages to add to their wine list already full of Lodi labels. Lodi offers visitors a unique dining experience. Government : Operations of Lodi government are overseen by a five-member City Council elected to four-year terms by the city's residents. City Council members are elected in the month of November during the even-numbered years. The City Council establishes local laws, sets policies, approves programs, appropriates funds and supervises the operations of city government. Hospitals : Lodi Memorial Hospital has been a part of the community for over 50 years. Lodi Memorial Hospital is a not-for-profit healthcare provider that has approximately 173 beds. Its mission is to provide quality medical care, education and support services to the community. Currently, Lodi Memorial has two hospital campuses and eight satellite clinics that are used to provide a variety of inpatient, outpatient, urgent, emergency and primary care services. In 2008, the hospital will break ground for the construction of a new, four-story patient wing. Population growth, new technologies, privacy concerns and state seismic regulations all play a part in the need for Lodi Memorial Hospital to expand its inpatient services and Lodi Memorial is eager to continue upgrading to offer the best service possible to Lodi residents. Shopping : Whether you are looking for antiques or that perfect gift for that “special someone”, you will find it in Lodi. Shop our charming historic downtown or browse our many shopping centers. Wineries : Some of America's most popular wines are made here, from Mondavi "Woodbridge" to Gallo "Turning Leaf" and Sebastiani "Vendange." Glen Ellen, Sutter Home, Forest Glen, Beringer and Fetzer wines are among the other wines produced in Lodi. Many consumers may not have heard of Lodi before because most of the wine from the region bore the broad "California" label. A decade ago, only a few labels were produced under the "Lodi" name; now there are over 250. Visitors to the region will be delighted to discover the 70 boutique wineries that dot the landscape, offering a friendly welcome, a relaxing atmosphere and award-winning wines. 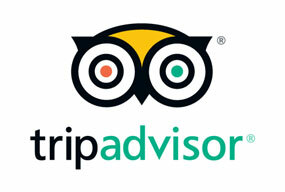 Welcome to our great hotel in Lodi California with affordable rates and cheap budget discount lodging. Motel 6 Woodbridge welcomes you to our budget hotel in Lodi California. 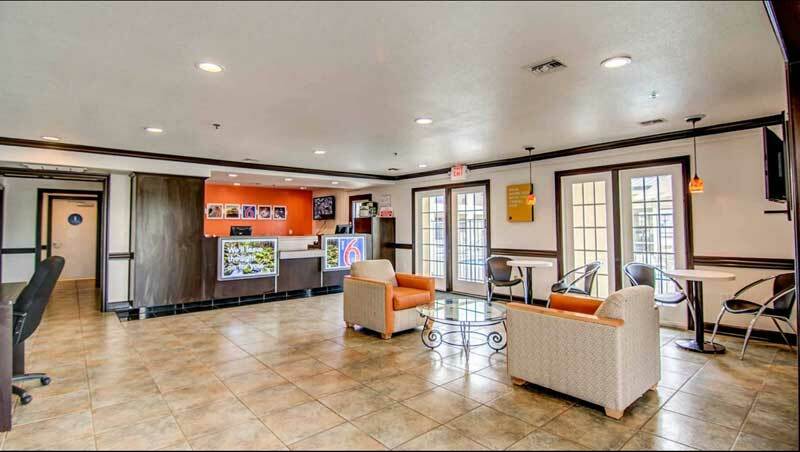 Motel 6 Woodbridge will provide you excellent customer service with great amenities in comparison to all Hotels and Motels in Lodi California. Please visit us on your next stay in Lodi California and let us provide you with 4 star hospitality for 2 to 3 star budget rates. 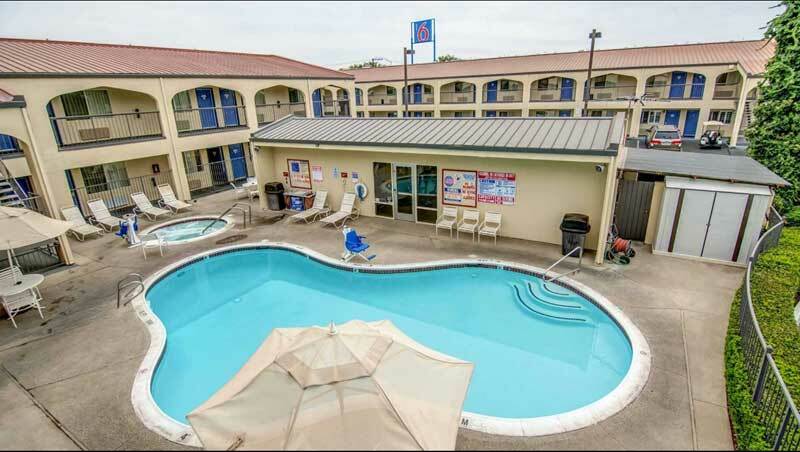 Motel 6 Woodbridge has been providing lodging and accommodations in Lodi California for several years and looks forward to providing our valued customer and business traveler with the best service in Lodi California for Hotels and Motels in our local area.